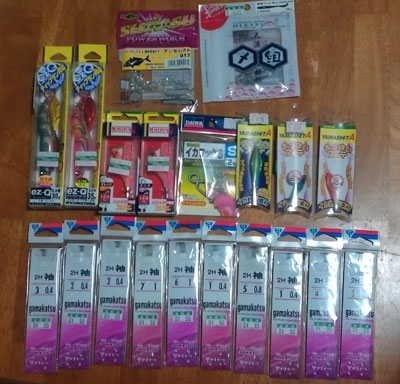 My brother returned from his trip to Japan with quite a lot of fishing goodies. Squid jigs of all sizes, a couple of packs of soft plastics and a whole bunch of bait fish hooks. These hooks are pretty automatic catching baitfish. 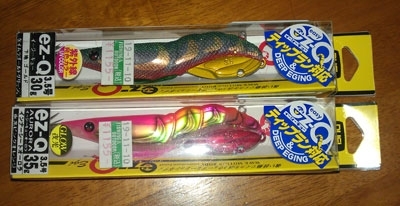 They are basically hooks that are tied on to a very light trace that you can just tie straight on to your swivel. They look like a prawn with the hooks on the head side. After my honeymoon in Hong Kong, I realised how new these were when I was told they were a new product over there, pretty much about 6 months after my brother brought back this batch.